Just a little thing that was requested and I couldn't believe they hadn't been done before. Not one to pass up a good idea (or at least pass the good idea on if it doesn't interest me enough) I got to work. A short 2-tile Anes dresser. 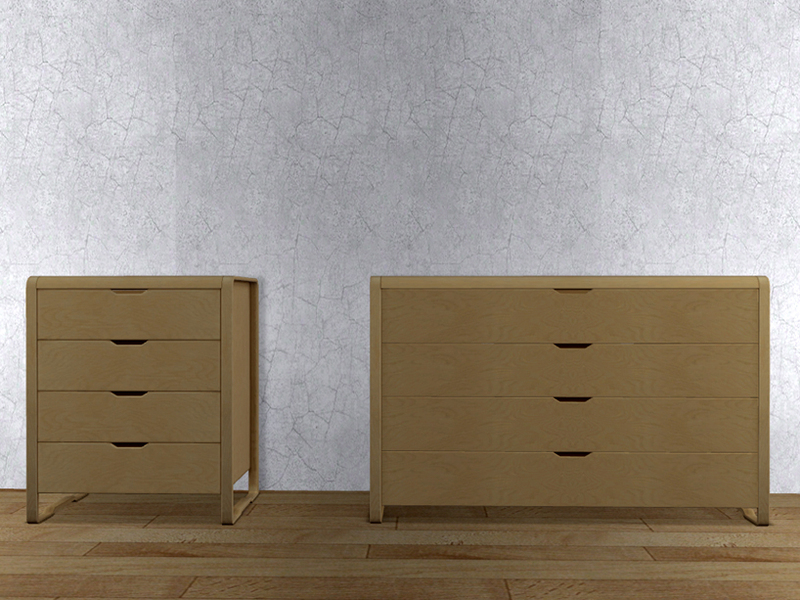 Open For Business and the Ikea Home Stuff Pack are required for these dressers to work in your game. Each dresser is slaved to it's 1-tile in-game version. There are 3 slots on the top of each dresser. 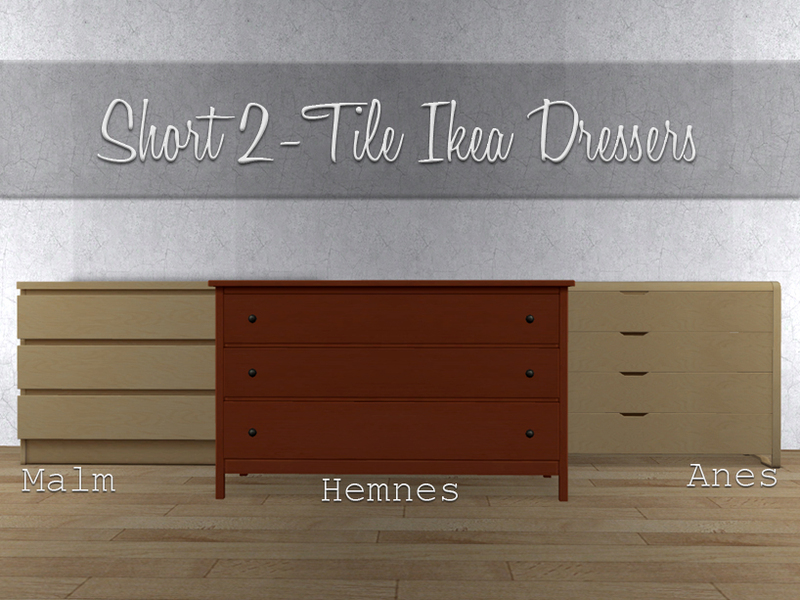 MLC-2TileShort-IkeaDressers.rar | Description: 3 dressers - OFB and Ikea Stuff Pack required!